Head and shoulders above the rest, Gyprock Supaceil sets the standard for plasterboard in ceilings. 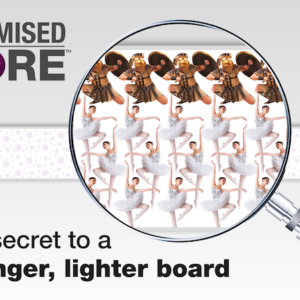 This lightweight 10mm thick plasterboard features Optimised Core technology to provide significantly improved strength, handling and board performance. Gyprock Supaceil is typically used as a superior ceiling lining option in residential applications and can be used to span up to 600mm joist centres. It is most suitable for areas of the home where exposure to moisture is not a concern such as bedrooms, living areas and entranceways.